I did not go to college to be a journalist, but I believe God led me into this career. Today, I am a Staff Writer for The Final Call Newspaper. The Final Call is the most widely circulated independent national Black weekly in the United States. It is also distributed globally. 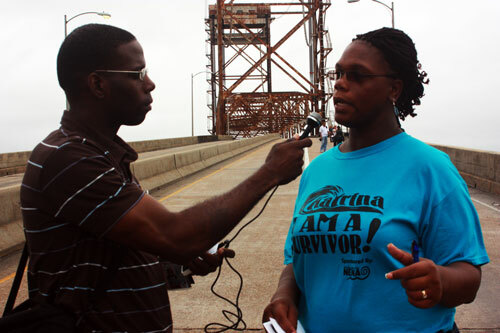 A victory for Katrina survivors? Black Enterprise Magazine CEO Earl "Butch" Graves, Jr. Entrepreneur Melinda Emerson aka "Small Biz Lady"
Entrepreneur, speaker and author Keith J. Davis, Jr.
Actor Allen Payne of "House of Payne"
Actress Jill Marie Jones of "Girlfriends"
Grammy award-winning Hip Hop artist T.I. R.I.P. To Dr. King's Dream (1963-2012)? To get to know more about Brother Jesse, subscribe to our newsletter below!